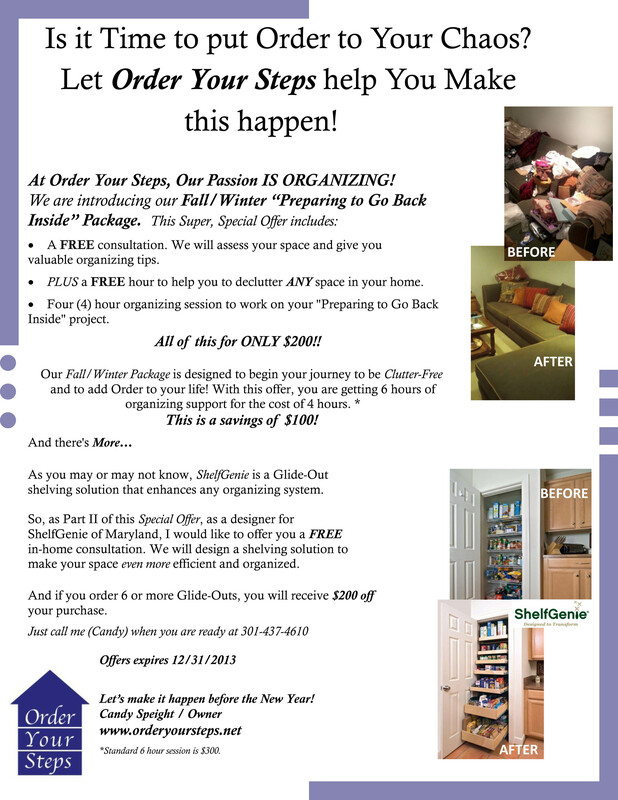 Home » Professsional Organizing » “Preparing to Go Back Inside” – Fall/Winter Special Offer! This entry was posted in Professsional Organizing and tagged Back to School, Clutter, De-clutter, Family, Home, Life, Order, Organizing, Personal Organizing, Shelving, Special Offer!, Time. Bookmark the permalink.